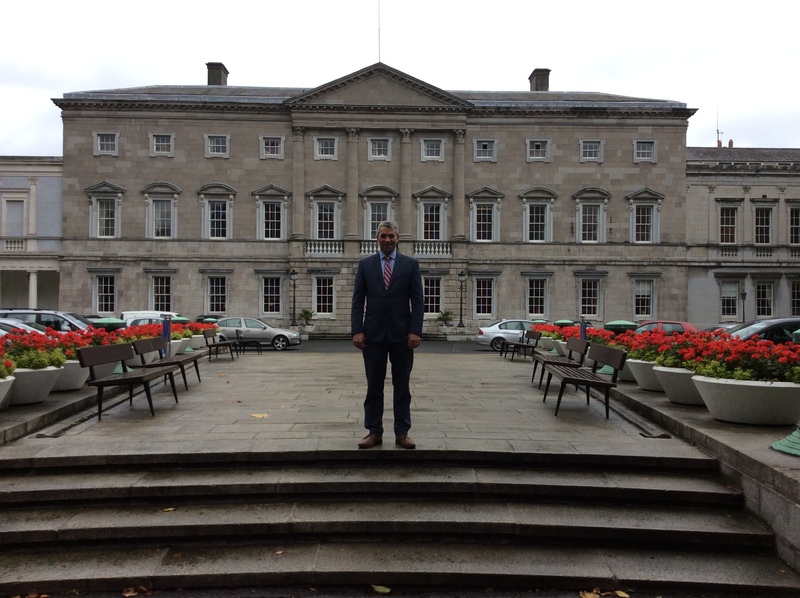 As your local Senator I have been working hard to represent the people of Cork in Seanad Éireann. In recent years we have moved from economic uncertainty to stability, the maintenance of which requires continual work. Some of the national issues I will be prioritising are tourism, job creation and public infrastructure, of housing, roads and amenities, in order to sustain such growth. Cork Senator and member of the Oireachtas Agriculture Committee, Tim Lombard, has welcomed the renewal of Ireland’s derogation under the Nitrates Directive. Senator Lombard said: “The renewal of our Nitrates Derogation is very positive news for Irish farmers, providing us the capacity for achieving targets set out in the Food Wise 2025 Strategy. “This decision to renew this derogation is recognition that Ireland has and is continuing to maintain our commitment to improving water quality during ongoing developments in our agricultural sector. “Ireland’s 4th Nitrates Action Programme (NAP) will commence in January 2018 and run until the end of 2021, as will the renewed derogation. “The new derogation allows farmers to exceed the Nitrates Regulations limit of 170 kg of livestock manure nitrogen per hectare, up to a maximum of 250 kg per hectare, subject to adherence to stricter rules. 1) 50% of all slurry produced on a derogation farm must be applied by the 15th June annually. After this date slurry may only be applied using low emission equipment. 2) In order to be eligible for a derogation farmer’s must have sufficient storage for all livestock manure and soiled water produced on the holding. Extension of the Invalidity Pension to the self-employed is a great support to small businesses owners and will help to create jobs locally. Cork Senator, Tim Lombard, said: “My Fine Gael colleague, the Minister for Employment Affairs and Social Protection Regina Doherty, has announced the Government is extending the Invalidity Pension scheme to self-employed workers for the first time ever. “Invalidity Pension is a pension payment for people who cannot work because of a long-term illness or disability, so the extension of this right is a real leap forward in terms of the rights of the self-employed and business owners who will, for the first time ever, be able to apply for this safety net on the same basis as employees. The change will also apply to farmers, tradespeople, freelancers, contractors and professionals, so lots of people are set to benefit here in Cork once the scheme is extended on December 1st. “This is just the latest Fine Gael measure designed to improve the lot of small business owners and other self-employed people in Cork, something we have prioritised since entering Government in 2011 as part of the Action Plan for Jobs which has seen the unemployment rate reduce from a high of 15.1% in 2012 to 6% this year. “It is part of our policy of making work pay and encouraging self-employment and entrepreneurship. Improving the safety net for the self-employed and improving the benefits they receive under the PRSI scheme means they are on more of a stable footing to create more jobs. “In March of this year, the self-employed were given access to the Treatment Benefit Scheme which includes free eye tests, dental examinations and contributions towards the cost of hearing aids, with additional dental and optical benefits being provided from October 2017 for both the self-employed and employees. “We have also completed significant steps along the road to the equalisation of income tax credits between self-employed people and PAYE workers. We are two thirds of the way there, addressing what was an unfair treatment of self-employed people in this country. The change in the recent Budget in this regard means that self-employed people will pay €200 less per year in tax from 2018, following our decision to extend the earned-income tax credit to €1,150. “I am pleased that the Government has been able to extend the Invalidity Pension without increasing the rate of PRSI paid by employees, employers and the self-employed. “It is important for self-employed people to know that the Invalidity Pension will be based solely on their PRSI contributions. It is not means assessed and any savings or assets they have will not affect their payment. “Minister Doherty has also confirmed that it is also open to self-employed who are currently out of work through illness to claim the Invalidity Pension if they have the relevant PRSI contributions on their social insurance record. “A public awareness campaign on the extension of the Invalidity Pension to the self-employed will run over the next 10 days starting on Monday, 20th November via print, broadcast and digital media. Extended Optical and Dental services are now available to qualified PRSI contributors, including employees and the self-employed, and their dependent spouses/partners. Senator Lombard said: “This is great news for our workforce here in Cork. It means they can now avail of free teeth cleaning and free glasses when they need them. This will encourage more working people to take better care of their health, which should drive down their health expenses in the long run. “Restoring benefits to PRSI contributors was a key commitment of Fine Gael heading into the last election and I’m delighted that we are now in a position to deliver. “The Optical scheme will now cover the provision of glasses, either free or subsidised if an upgraded design is chosen, or provide a contribution towards contact lenses. Repairs to glasses are also covered under the extended scheme, in addition to the free eye examination announced earlier in 2017. “The cleanings will require a co-payment from the patient if the cost of the treatment charged by the dentist is in excess of the fee payable by the Department. For the simpler scale and polish treatment this additional co-payment is capped at a maximum of €15,” Senator Lombard clarified. Minister for Employment Affairs and Social Protection, Regina Doherty said: “I am pleased to announce these new optical and dental treatment benefits. Currently over 2.5m qualified contributors, including 450,000 self-employed, may have an entitlement based on their PRSI contributions to claim Treatment Benefits, and this benefit is available to both themselves and their dependent spouse or partner. Seanad spokesperson on Communications, Senator Tim Lombard, said the designation of these events is an acknowledgment of the valuable contribution that the representative associations make to women’s sport throughout Ireland. Cork-based Senator Lombard said: “The ladies’ senior finals deserve this special recognition that is already afforded to the men’s senior finals. “The designation of these events is an acknowledgment of the valuable contribution that the representative associations make to women’s sport throughout Ireland. “Ladies football and camogie players are hugely valuable role models for girls around the country who they inspire to get involved in their local clubs. “In some cases but definitely in hurling, the camogie and ladies football championships have been far more entertaining than the men’s championships. As a result, both attendance and viewing figures continue to increase for these events. “This year alone as many as 46,286 people attended the senior and intermediate ladies football finals in Croke Park. This is an increase of approximately 13,000 on the 2016 final and makes it the best attended female sporting event in Europe this year. “Not only that, attendance at the event was on a par with a number of other top sporting occasions this year such as the Munster senior hurling final, which had an attendance of over 45,000 or the PRO12 final between Munster and Scarlets that had an attendance of 44,000 people. “A draft order designating these events was referred to the Oireachtas Joint Committee on Communications, Climate Action and Environment. “The committee fully supported the designation of these events. Earlier this week, Dáil Éireann passed this motion recognising the importance of the senior ladies finals, and now it has been passed by the Seanad this week. “This is a good news story. Participation in women’s sports has to be a priority for the Government. “It is positive and ground-breaking to have these important finals designated as free-to-air. “In my part of the world, both sports have great following. This year, in particular, we had great success in camogie but traditionally, the ladies football final would be a great source of pride in Cork. A new building planned for the Cork Institute of Technology (CIT) campus will drive local and regional development, Fine Gael Senator, Tim Lombard, has said. The proposed project is the construction of a Learning Resource Centre which would accommodate learning, study, exhibition, engagement and entrepreneurial space. It would allow CIT to increase capacity across STEM, business and humanities subjects. The project was announced by the Minister for Education and Skills, Richard Bruton and the Minister of State for Higher Education, Mary Mitchell O’Connor and is set to be included in the Department of Education and Skills’ latest Public Private Partnership (PPP) Programme. 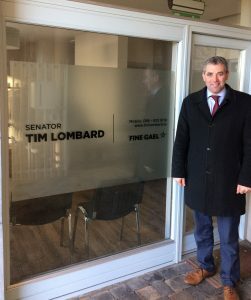 Senator Lombard said: “This announcement fulfils a key commitment in the Action Plan for Education, which aims to make the Irish education and training service the best in Europe within a decade, and is one of 11 new projects announced at different third level institutions across Ireland. “It will see enhanced opportunities for students to reach their potential in areas of science, technology, engineering, and mathematics (STEM). “This development in Cork will help drive regional development and meet many of the skills needs that have been identified by the National Skills Council and the regional skills forum, which was established earlier this year by Minister Bruton. “Over €200 million is being invested nationally which will create over 8,000 new student places. “This PPP Programme is being rolled-out alongside €367 million in funding from the Department of Education and Skills for national investment in higher education over the period 2018-2021. Minister Bruton and Minister Mitchell O’Connor secured €257 million of this additional funding in the Budget last week following the mid-term review of the Capital Plan. Minister for Education and Skills, Richard Bruton said: “Institutes of Technology have been disproportionately affected by the fall-off in capital investment in higher education over the past decade. And yet they have still shown a level of flexibility and innovation that rivals any other sector. “In recent times the infrastructure hasn’t evolved or improved quickly enough to match their dynamism. We’re starting the process of changing that with this announcement.